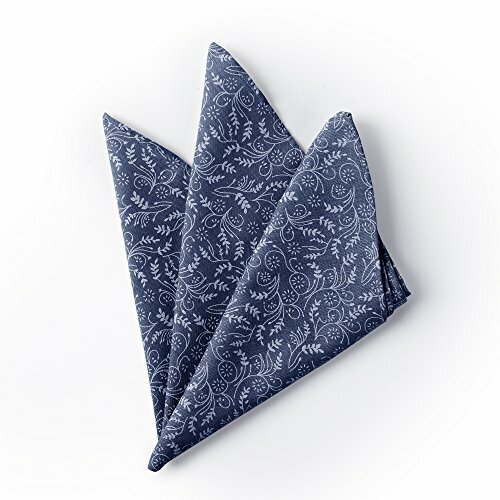 New from Jacob Alexander, a floral printed pocket square made of 100% cotton. The square measures a full 12 inches 12 inches. Handkerchief is well made with a neat finished hem giving a nice body and weight.